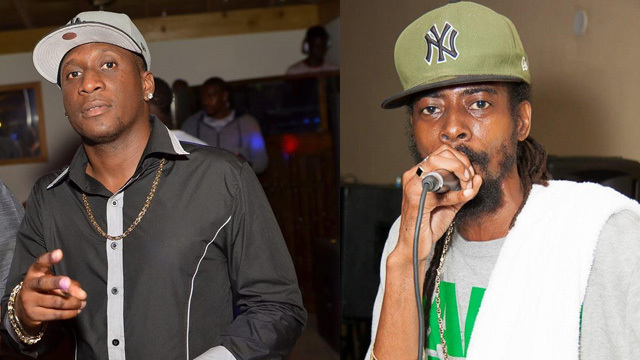 THG Network (Dec. 22, 2016) — As the 2016 Carnival season warms up in Sugar City, St. Kitts, two popular Kittitian artistes came to blows on the stage of the hang-out Party Central on Wednesday night. Gregory Hobson, also known as Mr. 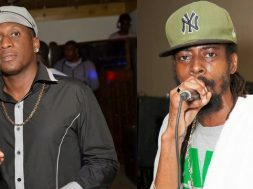 Mention, the long time lead vocalist of the Nu Vybes Band, otherwise known as Sugar Band, whose recently released “Work it like a slave” has been heating up the airways, squared off with the “Bruk it, Set it” artiste and DJ, Akaii. The exercise invoking tune has been getting rave reviews locally and across the region. Shocked patrons who could not believe their eyes, and were at a loss to decipher what had precipitated the brawl, crowded around the stage before security forces broke up the melee. A cell phone video was posted on the social networking site Facebook, and has gone viral, with several persons calling for apologies from the artistes for the public spat. The prevailing view was that the artistes, who are highly acclaimed by many, especially the young, should be uplifting people instead of promoting violence. THG News placed calls with both artistes, on Thursday morning. Akaii answered with a “no comment”, while Mr. Mention’s mobile phone went unanswered.